with skills and resources that you bring. How do you attract the right crowd? Can you stay significant & desirable over time? How do you control for great alignment? A. Define your private matching factors (skills, interests, resources) which you will contribute. B. Publish the matching profile link QR code on your business card, or distribute it digitally. B. 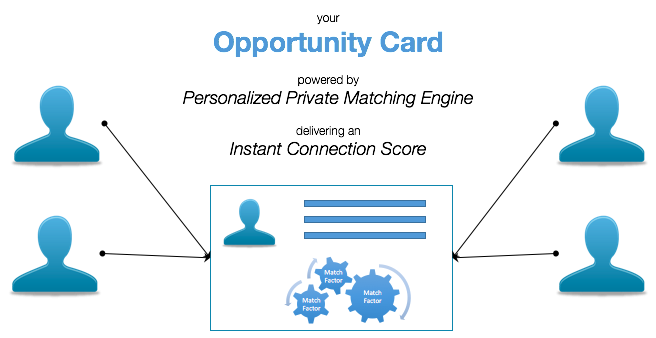 Your See the Connection Opportunity Score, contact them, or adjust your profile factors.